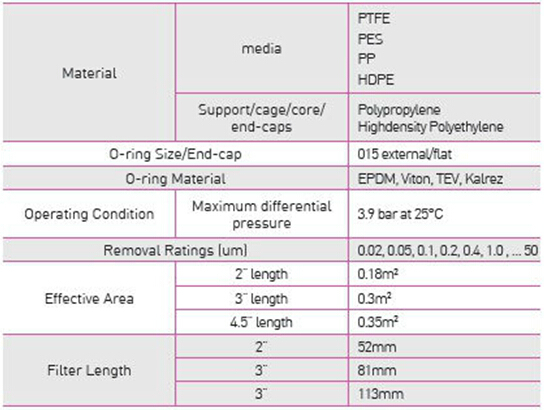 PES Cartridge filters are made of Poly EtherSulphone with Uniform pore distribution to ensure maximum performance in Bacterial retentions. Its upstream & down stream polyester support ensure resistance to pressure shocks. 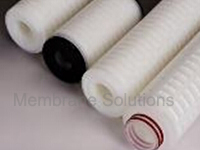 Polyethersulphone membrane is hydrophilic in nature; it allows easy integrity testing for all applications where daily controls are required. The membrane possesses broad chemical compatibilities & contains no surfactants.